This Rock Bucket Rental and Grapple Attachments – Paladin Industries, is available for rent in Rochester NY, Ithaca NY and the entire Western New York region from the Duke Company. 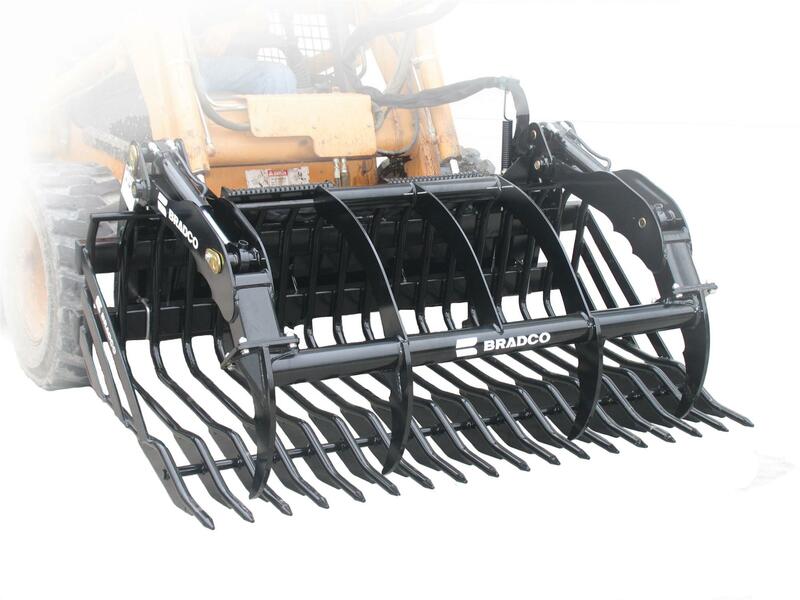 This rental rock bucket and grapple can be rented, manufactured by Palladin industries specifically for Skid-Steers is available in a range of sizes including 66 inches, 75 inches and 84 inches (width of bucket) and 2-3 inch tine spacing. The multitude of widths enable optimal productivity for quick clean-up, leveling ground surfaces and consolidating material awy from structures and obstructions.